Snakefire is desktop client for Campfire. 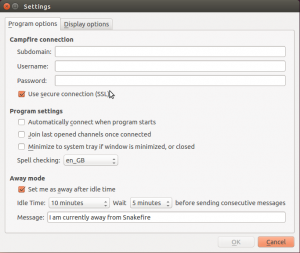 Snakefire is the perfect way to use Campfire in your desktop. It allows you to set up alerts that will notify you when certain messages arrive (so you can drink your coffee without fearing that you may miss something important.) You can see what was said since you left, and what is relevant to you. You can upload anything quickly and easily (drag and drop.) 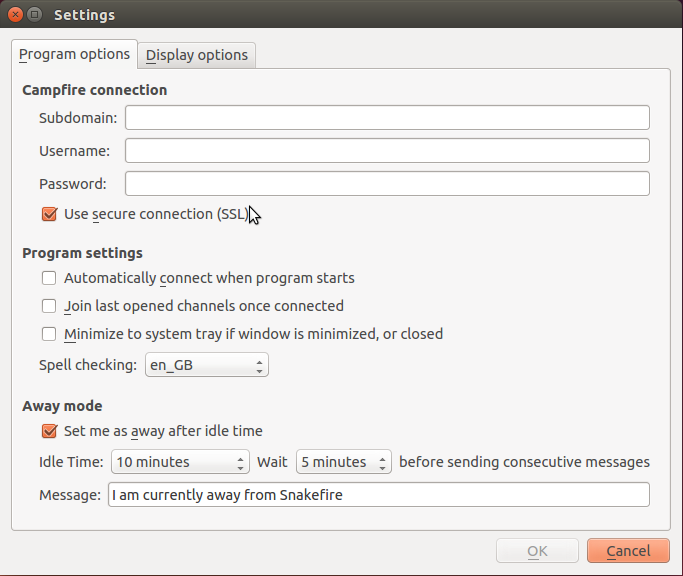 You can do everything you were able to do with Campfire, in a friendlier (and more exciting) way. 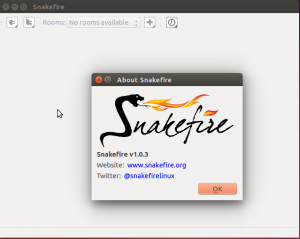 Snakefire (http://snakefire.org) is a desktop client for Campfire (https://campfirenow.com). 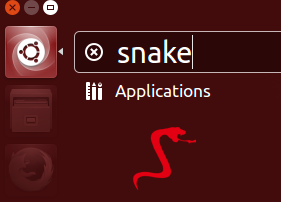 BTW, I did execute the “sudo apt-get update” command between the “add repository” and “install” ones, but did not show the output here.